Renewable Energy is the answer of energy crisis in Pakistan. HomeWIND POWER GENERATIONRenewable Energy is the answer of energy crisis in Pakistan. Pakistan is facing massive power shortage. Most cities in the country are suffering from frequent loadshedding, and the situation in the rural areas is even worst. It can easily be said that if no emphasis is placed on increasing our electricity generation capacity, the situation will only deteriorate. And rather than relying only on the current sources of power generation, we need to turn to renewable sources, like wind, water, sun, etc. Here we look at the different modes of power generation through renewable energy. Typically, electricity is generated from fossil fuels such as coal, oil and natural gas. The use of these sources contributes to pollution problems, resulting in global warming, greenhouse effect and acid rain. The burning of fossil fuels gives off harmful chemicals like carbon dioxide, nitrogen oxides, sulphur dioxide, arsenic and ash. The emission of these chemicals, particularly carbon dioxide, is leading to an increase in greenhouse effect. Greenhouse effect rises the temperature of our planet and due to this rise in temperature, glaciers have started to melt, raising the sea levels. On the other hand, fossil fuels contain carbon, sulphur and nitrogen which, when burnt, form their oxides. Sulphur dioxide and nitrogen oxide combine with moisture in the atmosphere, forming sulphuric and nitric acid respectively, which lead to acid rain. Acid rain has harmful effects on both flora and fauna. In a nutshell, the harmful effects of fossil fuels are many and, in addition, our reserves of fossil fuels cannot last forever so we should not depend heavily on them for the generation of electricity. Therefore, the exploitation of renewable energy for power generation has been carried out by many countries across the globe. A renewable resource is one which can be regenerated naturally, examples being generation of electricity using solar and wind power. As the name suggests, solar energy utilises the energy of the most powerful source -- the sun. You might have seen or used watches and calculators that are empowered by solar energy. Similarly, electric power can also be generated on large scale by utilising solar radiation. Among the renewable resources, solar energy is most commonly used today as it is a renewable source that is clean, free and viable. The use of solar energy has been actively pursued in many countries round the world. There are two basic ways to generate electric power from solar radiation -- one is photovoltaic (PV) technology (the one used in solar calculators and watches) and the second is concentrated solar power (CSP) technology. PV is a terminology used for panels that generate electricity. The material that is used for PV panels is generally pure silicon that converts sunlight directly to electricity. When sunlight strikes the silicon material, electrons are extricated, resulting in the flow of electric current. The PV technology is best suited for domestic purposes like indoor and outdoor lighting, and is being used even in Pakistan for the electrification of remote areas. Concentrated photovoltaic or solar thermal electricity technologies generate electric power by transmuting the energy obtained from the sun into heat, using mirrors of various configurations. This heat is then transferred to the power plant which uses it to generate electric power through heat conversion techniques. The power plant mainly consists of two parts, one converts the collected solar energy into heat, while the other converts heat energy into electricity. Some systems use this technology to produce electricity at night or during cloudy weather. CSP systems can be use to produce electricity in remote areas on both small and large scale. There are three basic CSP technologies -- sterling engines, solar troughs and solar tower. While power generated using solar power is free, simple and inexhaustible, and there needs to be further development so that this clean and cost-effective source is feasible for large-scale electricity generation. Pakistan is blessed with a lot of sunlight all around. Institutes such as National Institute of Silicon Technology (NIST), Pakistan Council of Appropriate Technology (PCAT), Solar Energy Research Centre (SERC), Pakistan Institute of Engineering and Applied Sciences, are working to promote the use of solar energy for power generation in the country. This will not only be beneficial for the environment but will also reduce our reliance on the vulnerable fossil fuels, accompanied by reduction in load on the present electric supply system. People in remote areas will also be able to get electricity and as no fuel is burnt, this clean source of energy will not add to pollution. 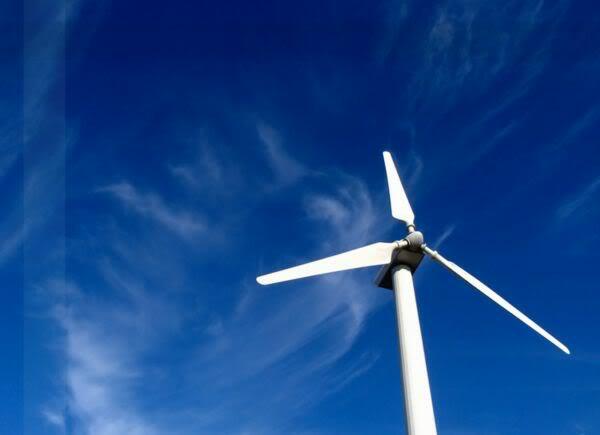 Wind is another renewable energy source that can be utilised to generate electric power. Wind energy is copious, clean and renewable, and reduces green house emissions. In this method of power generation, wind turbines are used to convert kinetic energy in the wind into mechanical power. As the turbine blades are turned by the wind, it rotates the shaft which is connected to a generator and thus electricity is produced. Turbines of low power ratings are used to generate electricity on a small scale, for instance, domestic purposes, etc., whereas large turbines are employed to generate electricity on a larger scale. One serious problem is associated with this renewable source of power generation. The flow of wind is sporadic which can be a barrier for smooth power generation. Research is still going on in order to make this source of power generation more effective on a large scale. However, this natural source, if utilised efficiently, can meet the present energy needs of the country. �Geo� means �earth� and �therm� means �heat�, so geothermal power generation utilises natural heat from steam or hot water found underground to produce electricity. Hot gases are produced inside the earth when radioactive particles decay. For the construction of a geothermal power plant, first a site is tested to see if it contains a geothermal reservoir or not. For this purpose, deep holes are drilled underground and the temperature is tested there. At such a site, steam or hot water is extracted which is used to rotate a turbine. The turbine is attached to a generator which creates electricity. This mode of power generation is suitable for locations where geothermal reservoirs are found. Geothermal power plants are of three types: dry steam power plant, flash steam power plant and binary power plant. In dry steam power plant, steam extracted deep inside the ground is directly utilised for the generation of electricity. In flash steam power plant, hot water is extracted which is converted into steam and then utilised for the production of electricity, and in binary power plant the heat from the hot water extracted is transferred to another liquid which is converted into steam and then used to create electric power. This mode of electricity generation is being utilised in Germany and many states of America, such as California. This source of energy is renewable as the heat extracted is injected back to the earth after utilisation. In this type of power generation, the energy of the tides is employed for the generation of electricity. A tidal power plant works on the same principle as that of hydroelectric power plant. For these power plants, selection of the site is very important, it should be such that it has enough tidal changes for the creation of energy which is supplied to the turbines. However, this mode is very expensive and more research and development is required to make this source of electricity effective on a large scale.